PBS 106.7FM, in association with the Melbourne International Jazz Festival, is delighted to announce the eighth year of the PBS Young Elder of Jazz Commission. The Commission promotes innovation and excellence in jazz composition, and is open to Victorian jazz composers under the age of 36. The Commission will award $10,000 for the creation and presentation of a new work to be broadcast on PBS and premiered at the 2019 Melbourne International Jazz Festival (MIJF). The Commission aims to support composers already actively engaging with audiences, and provides a platform to nurture the future of contemporary jazz composition in Victoria. PBS and the MIJF are delighted to collaborate on this important initiative, which has been made possible through the generous support of Mark Newman. Applications are open from Monday 8th October and close at 5pm Friday 26th October 2018. 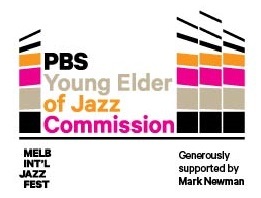 For full terms and conditions and to enter the 2019 PBS Young Elder of Jazz Commission online, click here.